When I lived in Guatemala, I cooked with a lot of vegetables. 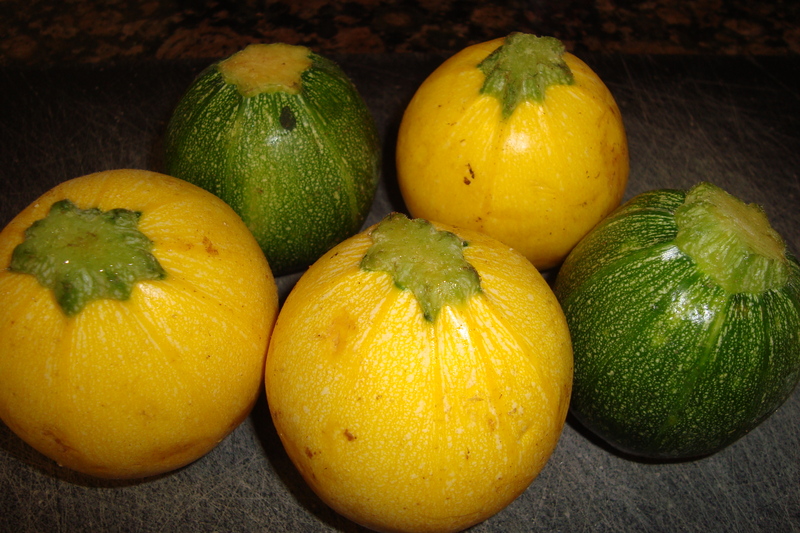 My favorite was “guicoy,” which is a little round zucchini. Whenever I see them at the farmer’s market here, I have to buy them. You can saute them just like regular zucchini, or you can stuff them! Their shape makes them the perfect vessel for cheese, rice, nuts, meat, or anything else that sounds good to you. With a little bit of meat for protein, they become an entrée. I added mint to mine because it looked great at the farmer’s market, and coriander because it goes well with mint. You could use parsley and cheese, or any other herbs that you prefer. 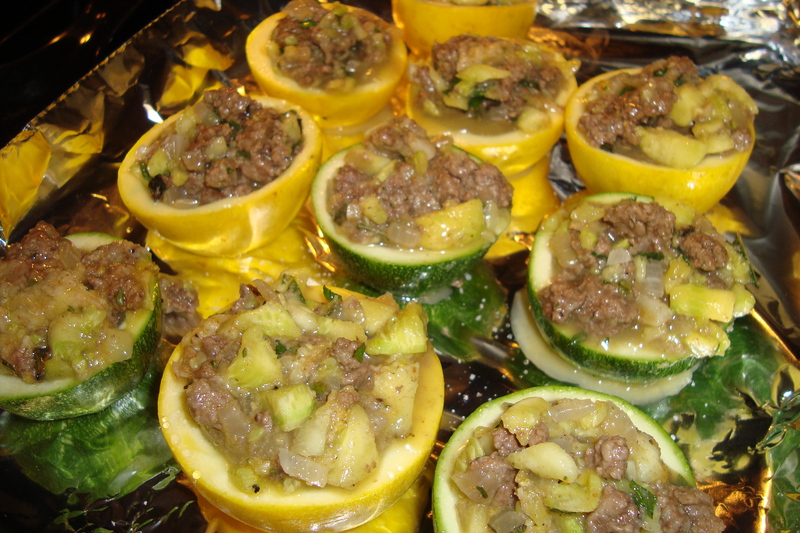 Cut the summer squash in half horizontally. Use a small spoon to scoop out the inside of the squash so that they form a little bowl, and set aside the insides of the squash. 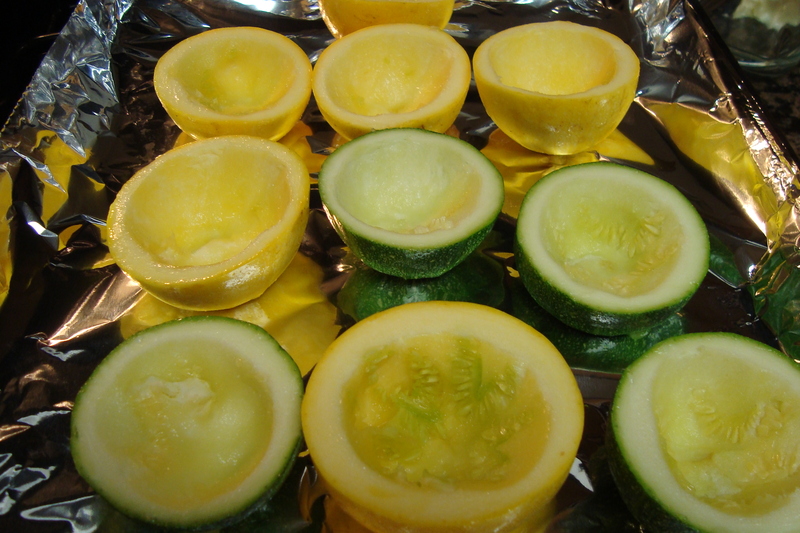 If necessary, cut off the stems of the squash so that they lay flat. Season them lightly with salt. In a small skillet, heat the olive oil over medium heat. 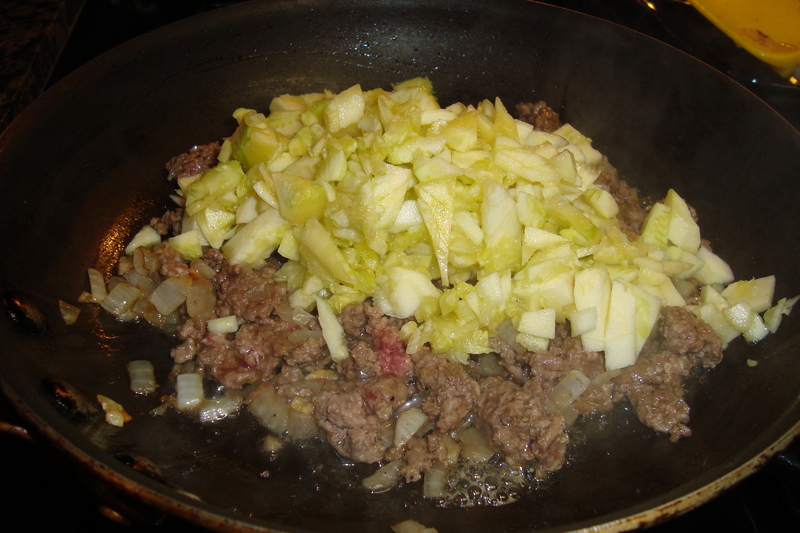 Add the onions, garlic, and ground beef to the skillet. Season with salt, pepper, and coriander. When the meat has browned, add the reserved squash insides and mint to the skillet. Saute for another minute. Remove the meat mixture from the skillet and cool for five minutes. Combine with egg and breadcrumbs. Stuff the squash halves with the filling. 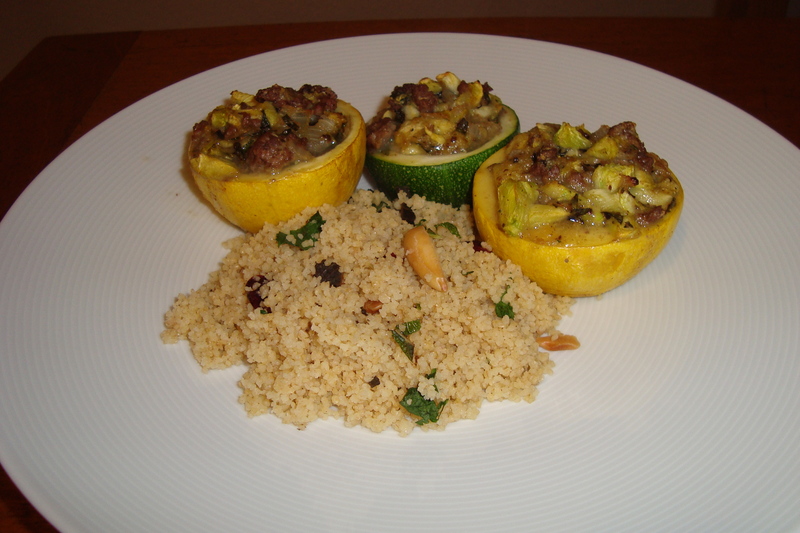 Place the stuffed squash in a casserole dish. Bake for 20-30 minutes depending on the size of your squash. They are finished when the squash is tender. Serve with brown rice or cous cous.